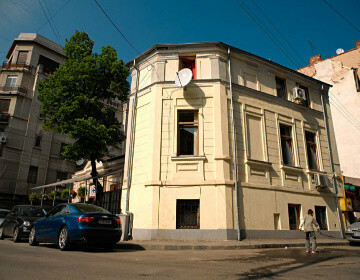 Wonderland is a cozy hostel in the center of Bucharest located on Coltei St. in one of the oldest suburbs of Bucharest. In the 17th century, there were built a church-monastery and Coltei Hospital, the first Romanian hospital designed in the Venetian style, which are now completely restored. Wonderland Hostel means a place where alternative young people, travelers, music bands and fans meet and share stories, chats, music and a fresh beer or just a hot coffee. It's maybe one of the best choices if you like meeting locals and hanging out with them at the hostel’s bar, Underworld, one of the best underground clubs in Bucharest. Bucharest Tips team has reviewd Wonderland Hostel - Hostels in Bucharest. You can get here description, reviews, address, map, phone, website of Wonderland Hostel in Bucharest. Visit Buchareset Tips for more Hostels in Bucharest!